Central Italy seems to have a bit of a thing for olive oil. Umbria’s neighbour to the west, Tuscany, is an avid producer of the Italian staple, but possesses a sweet tang in its oil compared with the piquant and slightly bitter Umbrian variety. Depending on who you speak to, it is often considered the liquid pride of Umbria, but is locked in an eternal battle for dominance with the region’s magnificent wines. Accordingly, olive oil tastings are a popular attraction, likewise featuring various elaborate techniques which are employed to unlock the flavours and scents within. 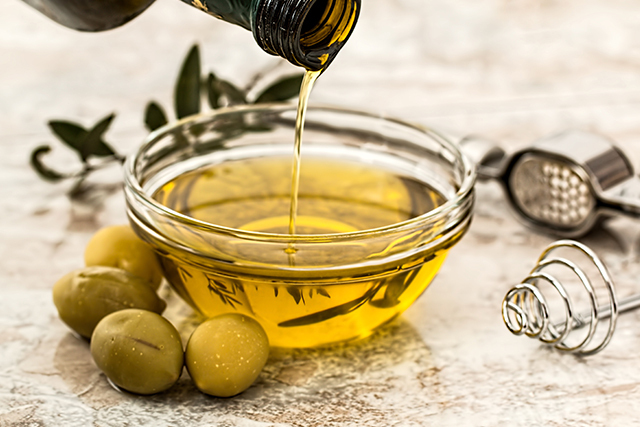 Proportionally, Umbria wins an amazing amount of awards for the 2% of national olive oil that it produces and the majority of that comes from the hills flanking the Mediaeval town of Spello. Spello’s cuisine benefits hugely from its fertile surrounds and the best olive oil in the region can be tasted at the various rustic trattorias and white-linen restaurants of this ancient town. Just south of Spello lies Trevi, another peach-coloured commune of Umbria with a penchant for producing some of the best dark, extra-virgin olive oils in the country. Torgiano Rosso Riserva DOCG. Photo: Viticoltori Broccatelli Galli. Being bordered by Tuscany is both a help and a hindrance to Umbria. Tuscany boasts several world-leading wines from its Chianti region, thus drawing tourism away from lesser-travelled Umbria. This is detrimental to Umbria’s tourism trade, but it means that its wine has a stronger sense of identity and character than other more-visited regions, with not a single sacrifice made towards taste. The wines of Umbria really do have an air of the underrated about them. Like Tuscany, the composition of wines here is dominated by the sangiovese grape due to the similar climates in the two regions. 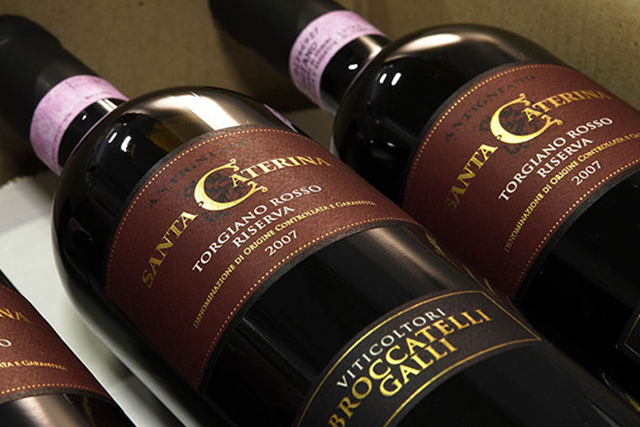 60% of Umbrian wines are white but the two that receive the highly prestigious DOCG mark of quality are both reds; the Torgiano Rosso Riserva and the Sagrantino di Montefalco. The former is the pride of the stunning hilltop town of Torgiano and features in its informative wine museum, while the latter is best enjoyed al fresco in the wide, open plazas of its hometown, Montefalco. A stand at the Eurochocolate festival in 2016. The perfect accompaniment to the deep reds of Torgiano and Montefalco can be found at the capital of Umbria, Perugia. At a population of about 160,000, Perugia is the closest that Umbria has to a metropolis, but is far from what you’d describe as a ‘mega-city’. Of the residents living within its defensive ramparts, a few have mastered the craft of chocolate-making and several Perugian businesses have made a name for themselves as artisans of some of the finest chocolate in the country. The snaking mediaeval streets of Perugia are home to many chocolatiers, but none more famous than the Casa del Cioccolato, the Wonka-esque factory producing Baci chocolates, the now international brand of delicious whipped chocolate and hazelnut. The incredibly rich chocolate can also be found in the cakes at Talmone, the pastries of Pasticciera Sandri and around the multitude of gelato vendors plying their treats in the gaping piazzas or at the base of the city’s historic bell tower. 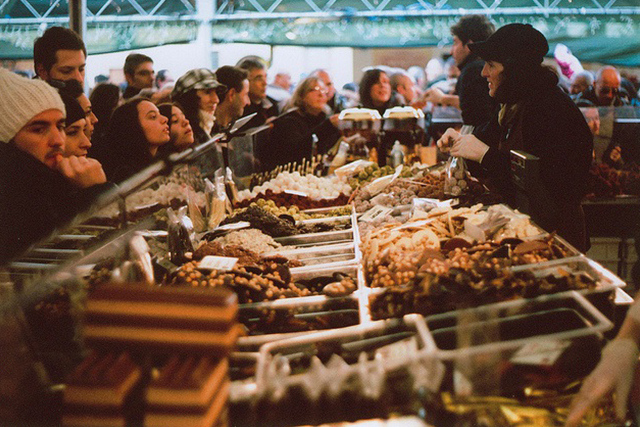 Be here in October for Eurochocolate, the continent’s biggest celebration of all things chocolate, where the streets are alive with chocolate art, chocolate making displays and, bizarrely, chocolate-themed street performances. The black and white treasures of Umbria are buried in the thick forestland skirting the edges of the imposing fortress of Spoleto, accessible by the stunning Ponte delle Torri (Tower Bridge) which towers over the river and a wild sprawl of oaks and pines below. These foothills of the Appenine Mountains are laden with the truffles for which Umbria has gained international fame; their abundance has meant that the alignment they traditionally share with the strictly upper-class has been entirely negated by their inclusion in hearty and homely Umbrian cooking. From September to December the forest floor is sniffed and scoured for white truffles, while the black variety are unearthed from December to March. 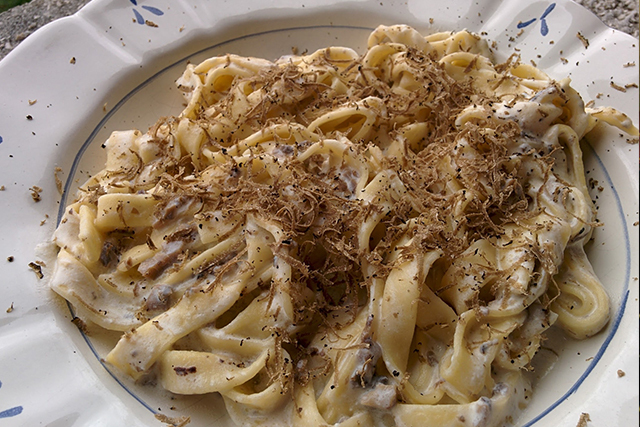 The truffles are shaved or minced and served with meat platters, Pecorino cheese and pasta in the stone-walled eateries of historical Spoleto, or sold whole in the markets of neighbouring towns such as Valerina for cheaper than you may expect. You can delve into the rich gastronomy of Umbria with Headwater’s Aspects of Assisi Cycling, Mediaeval Umbrian Cycling or Footsteps of St. Francis Walking holidays. Lawrence took off from the UK in 2013 and never looked back. During his various stints in Europe, Australia, New Zealand and Asia, he developed a passion for travel writing from his many experiences. Now he works remotely, giving him a chance to explore the bits of the world that have eluded him so far.